You’re Told to Fix and Polish This Message–But How? Suppose your supervisor emails you a message that says, “Fix the attached” or “Polish this piece.” But exactly what does it mean to fix and polish? In addition to correcting punctuation, typos, misspellings, and grammar glitches, what’s required beyond that? What should the reader do, think, believe, or remember as a result of this piece? Does the communication specify what you want readers to do and by when? How easy is it for them to first understand the instruction and then take action? For example, if it’s a letter to a credit card company about a dispute, make it clear what you want, e.g., future credit or a refund. Then state when you want a resolution, e.g., “before the next payment cycle on June 23rd.” Put this call to action near the top! How long should your sentences and paragraphs be? Ensure your message comes across in short, easy-to-read sentences. My rule of thumb is not more than 21 words in one sentence or 3-4 sentences in one paragraph. Why? It’s hard for anyone to track your meaning when sentences ramble, especially when they’re part of long paragraphs. People scan more than they read; they can take in short sentences and paragraphs more quickly than long-winded ones. Don’t make it seem like hard work! How can you use polite, positive language to persuade others?Remember, a positive outcome should be the goal of every communication. Your objective may be to retain a customer, win a contract, build a relationship, gain approval, or advance a project. Always spell out benefits: e.g., resolution, improvements, increased profit, etc. And be polite by using words such as welcome, thank you, please, appreciate, happy to, and value your input. If your piece doesn’t include positive language, then why send it at all? When it’s up to you to fix and polish that important message, use these questions as your checklist every time. Why is this piece needed? What’s its intended purpose? What should the reader do, think, believe, or remember as a result of this piece? How long should your sentences and paragraphs be? How can you use polite, positive language to persuade others? What essential fix and polish elements would you add to these? 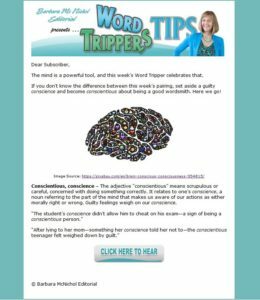 Check out all these phrases that add word clutter. Question their use every time. 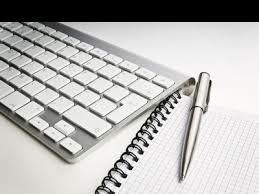 Do you need them in your writing? What phrases would you add to this list? Share them here. Emails can have problems—especially when old subject lines, too many topics, and lack of clarity get in the mix. It can add up to email overwhelm. 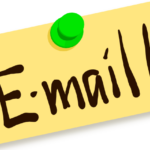 Be conscious of failing to make the most of your email correspondence. 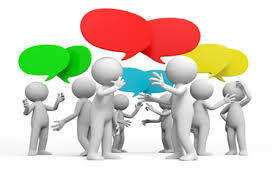 You want to avoid going back and forth a dozen times before achieving the communication’s purpose. Well, a dozen times might be exaggerating, but no matter what, you can streamline the process by building in extra thoughtfulness. Consider something as simple as scheduling a meeting. Messages could go back and forth annoyingly before you nail a mutually agreeable day/time/place. The “if then” technique has just narrowed down the possibilities. Recipients know to suggest a different three options if these don’t work. You’re all likely to come up with the best solution in only two emails each. That saves time and avoids email overwhelm. Your Challenge: Compose your emails more efficiently by using this “if then” option. What other actions help you avoid email overwhelm? Do You Lie Down or Lay Down? 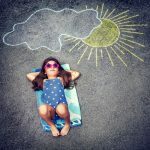 You might want to lie down when you finish reading this blog, but I’ll lay it on you anyway. I’m counting on my examples to help you make the right choices. Kathleen Watson is known as the ruthless editor. She has just published an excellent grammar book that clears up questions that have been festering. 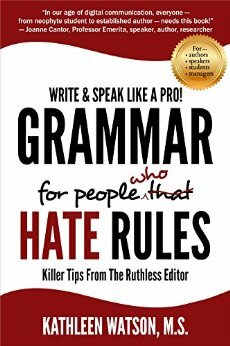 Lie vs. lay is just one of 60 tips you’ll find in Grammar for People Who Hate Rules: Killer Tips from The Ruthless Editor. At $8.95, that’s just 15 cents a tip! To buy your copy, click on the link to order now.